If you’ve heard of Mormons, you probably wonder who started Mormonism. Joseph Smith Jr. is perhaps best known as the person through whom the Mormon Church, officially known as The Church of Jesus Christ of Latter-day Saints was started. But he is much more than the founder of a religion. He was a prophet of God and is revered by millions of people around the world, despite his humble beginnings. Joseph Smith Jr. was born on December 23, 1805, in Sharon, Vermont, to Joseph Smith Sr. and Lucy Mack Smith. Joseph had two older brothers, Alvin and Hyrum, and an older sister, Sophronia. Joseph also had five younger siblings who survived to adulthood, Samuel, William, Katharine, Don Carlos, and Lucy, and two additional brothers who died as infants (see Teachings of Presidents of the Church: Joseph Smith , 2). What was Joseph Smith’s childhood like? The Smith family experienced financial hardship and difficulty in Joseph’s youth. Joseph’s father suffered a series of financial setbacks that made it difficult for him to provide for his large family. The family moved frequently as Joseph Smith Sr. tried working in storekeeping, farming, and trading ventures, all with little success (see Matthew S. Holland, “The Path to Palmyra,” Ensign, June 2015, 26–28). Joseph’s mother described young Joseph as a “remarkably quiet, well-disposed child” (Lucy Mack Smith, “Lucy Mack Smith, History, 1845,” 72, josephsmithpapers.org). Yet, Joseph faced his own challenges in childhood. In 1813, when he was only about seven years old, Joseph became seriously ill with typhoid fever. Infection from the disease spread to the bone of Joseph’s leg, and doctors feared they would need to amputate. Joseph refused to allow his leg to be amputated and his mother pled with the doctors to spare it. The doctors agreed to attempt to surgically remove the diseased portion of the bone without amputation (see Vivian M. Adams, “Joseph Smith’s Boyhood Surgery: Mercy during a ‘Desperate Siege,’” Ensign, June 2013, 66–69). Even at his young age, Joseph showed great courage, love for his parents, and faith in the face of tremendous pain. To temper the agony of surgery without anesthesia, doctors encouraged Joseph to consume liquor and instructed his parents to tie him to his bed. His mother recalled that he replied, “‘No, . . . I will not touch one particle of liquor, neither will I be tied down; but . . . I will have my father sit on the bed close by me, and then I will do whatever is necessary to be done in order to have the bone taken out. But Mother, I want you to leave the room; I know that you cannot endure to see me suffer so . . . . The Lord will help me and I shall get through with it’” (Lucy Mack Smith, “Lucy Mack Smith, History, 1844–1845,” book 3, pages 1–2, josephsmithpapers.org, punctuation standardized). The infection was successfully removed, but after the surgery, Joseph walked with crutches for several years, and he had a slight limp for the remainder of his life (see Teachings: Joseph Smith, 2). 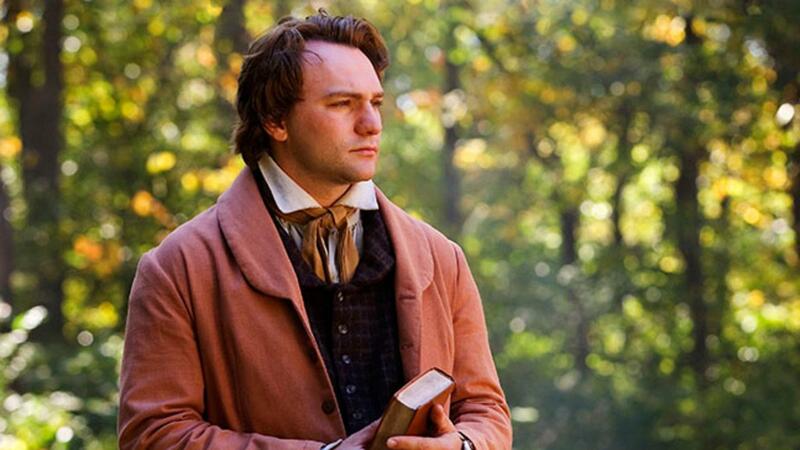 Who did Joseph Smith grow up to be? In 1816, Joseph Smith Sr. moved his family to Palmyra, New York, where he once again tried farming (see Holland, “The Path to Palmyra,” 27–28). The teenaged Joseph Smith Jr. and his siblings labored to help their father on the farm and did not receive much formal education. They did, however, frequently read from the Holy Bible as a family (see “Joseph Smith and the Restoration,” mormonnewsroom.org). 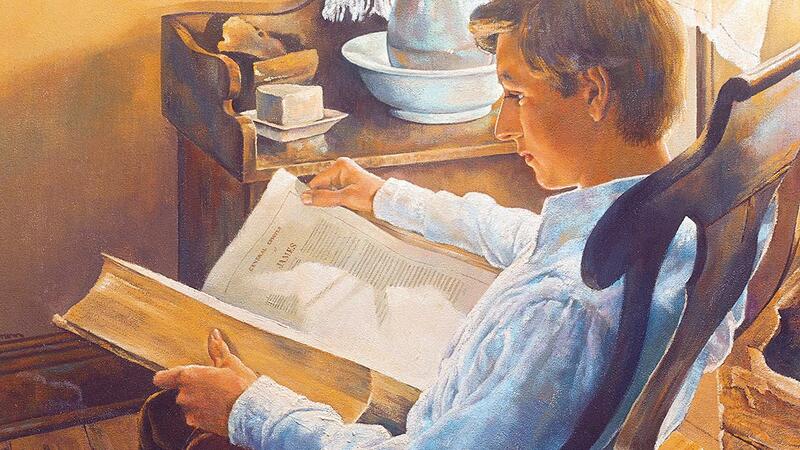 At about 15 years of age, when Joseph began to wonder which church to join, he sought answers from the Bible (see Joseph Smith—History 1:7–13). Joseph’s study of the Bible led him to pray to know which church he should join. In 1820, in answer to Joseph’s prayer, God the Father and Jesus Christ appeared to Joseph in a miraculous vision. They told Joseph that he should not join any church then on the earth (see Joseph Smith—History 1:18–20). Today, Mormons consider this vision, referred to as the First Vision, to be one of the founding events of Mormonism. When did Joseph Smith start Mormonism? Joseph followed God’s counsel and later accomplished many great and important works for the kingdom of God. At age 24, he restored Jesus Christ’s Church to the earth when, under God’s direction, he organized The Church of Jesus Christ of Latter-day Saints. Joseph’s contemporaries testified, “Joseph Smith, the Prophet and Seer of the Lord, has done more, save Jesus only, for the salvation of men in this world, than any other man that ever lived in it” (see D&C 135:3). 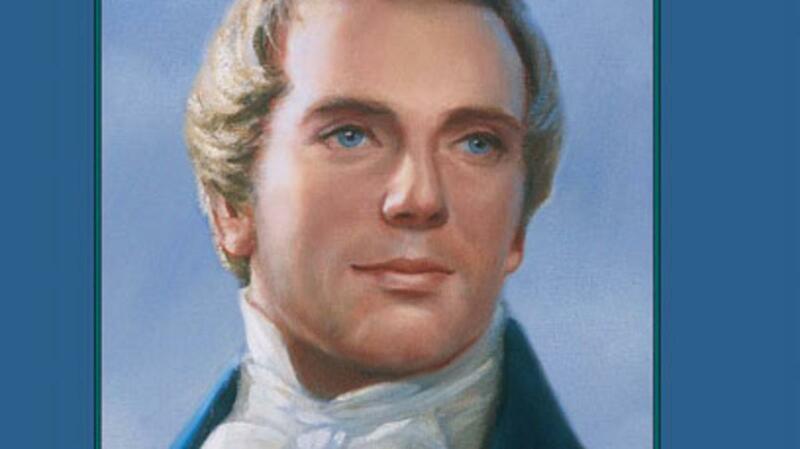 Joseph Smith was more than the founder of The Church of Jesus Christ of Latter-day Saints. He was a prophet of God whose ability to accomplish so much at such a young age is miraculous. To learn about more Joseph Smith, visit mormon.org. Mission of the Prophet. Joseph Smith. Life of the Prophet. Joseph Smith. Witnesses of the Prophet. Joseph Smith. 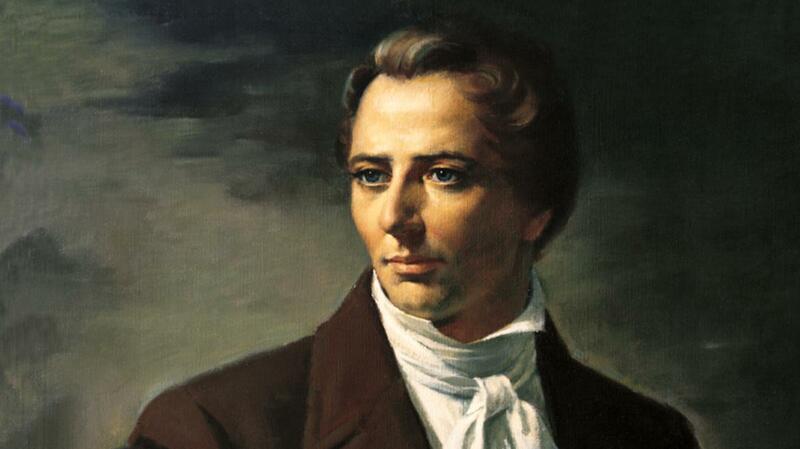 A collection of videos about the Prophet Joseph Smith.